macromolecules large molecules such as proteins, carbohydrates, and nucleic acids complementary matching opposite, like hand and glove hydrogen bonding weak bonding between the H of one molecule or group and a nitrogen or oxygen of another of war between males and females. 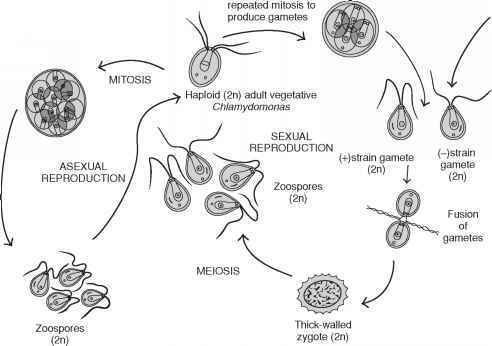 In this scheme, fathers (who contribute only sperm) benefit when the embryo grows as fast as possible. Thus, silencing genes that slow down embryonic growth is in their interest, even if it depletes resources from the mother. Mothers, on the other hand, need to conserve their resources. Silencing genes that promote rapid growth is therefore in their interest. Supporting this hypothesis is the fact that many of the known imprinted genes regulate growth. Paternally expressed (maternally imprinted) genes such as IGF2 tend to promote growth, whereas maternally expressed (paternally imprinted) genes tend to inhibit it. SEE also Chromosomal Aberrations; Fertilization; Inheritance Patterns; Methylation; RNA Polymerases. Everman, David B., and Suzanne B. Cassidy. "Genomic Imprinting: Breaking the Rules." Journal of the American Academy of Child and Adolescent Psychiatry 39, no. 3 (March 2000): 386-389. Greally, John M., and Matthew W. State. "Genomic Imprinting: The Indelible Mark of the Gamete." Journal of the American Academy of Child and Adolescent Psychiatry 39, no. 4 (April 2000): 532-535. Paulsen, Martina, and Anne C. Ferguson-Smith. "DNA Methylation in Genomic Imprinting, Development, and Disease." Journal of Pathology 195, no. 1 (2001): 97-110. Yale University School of Medicine and Yale-New Haven Hospital. <http://info.med .yale.edu>. In a specialized molecular biology laboratory, researchers can make a sequence of nucleotide bases that is complementary to a target sequence that occurs naturally in a cell (in a gene, for example). When this complementary sequence is exposed to the cell, it will bind with that naturally occur-ing target DNA or RNA in that cell, thus forming what is known as a hybrid. The complementary sequence thus can be used as a "probe" for cellular RNA or DNA.